This Website is solely and exclusively owned and operated by Dailyfish (hereinafter referred to as "Dailyfish"). Dailyfish Retail is the Original Owner and Author of the Website www.Dailyfish.in (hereinafter referred to as the "Website") and of all the copyrights, trademarks, brand names, logos and other intellectual property rights incidental or consequential thereto. 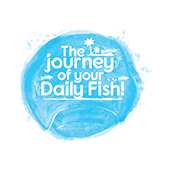 The materials and services provided for and depicted on www.Dailyfish.in are the sole properties of Dailyfish and protected by copyright, trademark, patent and other intellectual property laws. All text, graphics, video, data or other content on the Dailyfish.in ("Dailyfish Content") is provided to you by Dailyfish for the sole purpose of using the Services. 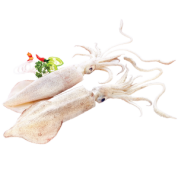 The Dailyfish Content may be modified from time to time by Baby Marine Retail Seafood Retail Pvt Ltd at its sole discretion. Modification of the materials or use of the materials published on the website for any other purpose is not permissible and will be construed as a violation of Dailyfish copyright and other proprietary rights by you. Except as otherwise indicated on this Website and except for the logos, trademarks, service marks, brand names and trade names of other companies that are displayed on this Website, all trademarks, logos, brand name, copyright, service marks and trade name associated with "Dailyfish" are the sole and exclusive property of Dailyfish. You must not use the services provided by Dailyfish or the website for any illegal or unauthorized purpose. International users agree to comply with all local laws regarding online conduct and acceptable content. You must not use the services provided by Dailyfish or the website to abuse, harass, threaten, impersonate, intimidate or otherwise violate the legal rights of others. The Website www.Dailyfish.in, the copyrights, trademark, logo, trade name, brand name and other intellectual property rights now existing or that may arise/accrue in future to from the website www.Dailyfish.in and the Contents thereof are the sole and exclusive ownership and property of Dailyfish and are protected by applicable copyright, trademark and other intellectual property laws of India. You agree, declare and confirm not to use the Website or the Content for any unlawful or immoral purposes and further to comply with any and all requests from Dailyfish to protect our respective rights in the Website and the Content. We reserve the right to take any and all measures necessary to prevent such access, including denial or termination of your access to the Website. In the event that you download any software from the Website, the software, including any files, images incorporated in or generated by the software, and data accompanying the software (collectively, the "Software") shall always be the ownership and property of Dailyfish and Dailyfish retains full and complete title to the Software, and all intellectual property rights therein. In the event you become aware of any infringement of any intellectual property rights of Dailyfish or any action against or proceeding against Dailyfish, you shall forthwith in good faith inform Dailyfish of the same. Dailyfish shall, from time to time provide you with exclusive usernames, passwords and/or other unique identifiers ("User Codes") to enable you to access and use the Website. Dailyfish shall not be liable or responsible for any breach of security caused by your failure to maintain the confidentiality and/or security of any of the User Codes. If you create a login and apply for an account, you must provide accurate and complete registration information, and you are responsible for any activity that occurs under your identity. Dailyfish is not responsible for unsatisfactory delivery or unavailability of service caused by inaccurate registration information. 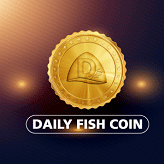 www.Dailyfish.in assumes that all information provided by the users/account holders at the time of signup as well as changes and updating of the profile is correct and true in nature and any bogus registration or use of the account. 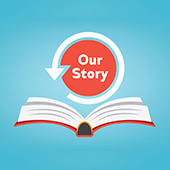 We reserve the right to revoke or modify the User Codes at any time without prior notice. Dailyfish reserves the right to refuse registration and deny creation of an Account and associated User ID and Password to any User at its sole discretion. The sole discretion of termination and suspension of any account and the refusal of service to any person or account holder lies with the website and Dailyfish.in can do the same by giving a notice to the user/account holder less than 24 hours in advance. The e-mail address and mobile number provided at the time of registration with www.dailyfish.in or with dailyfish India apps are to be used to communicate with the account holder as and when it requires. www.dailyfish.in sees the acceptance of terms and conditions at the time of account creation with www.dailyfish.in or with dailyfish India apps, is also an agreement of opting communications from www.dailyfish.in or from the sources which www.dailyfish.in permits to send communications behalf of www.dailyfish.in. 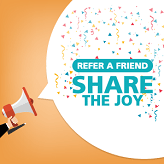 www.dailyfish.in provides various customer engagements, rewards, loyalty activities and feedback mechanism to ensure complete customer satisfaction with their services. For the purpose www.dailyfish.in uses the following communication methods. These are mandatory communications which are generated on specific customer interactions with www.dailyfish.in. Example. new order creation, order cancellation, delivery address confirmation, invoice generation, etc. These kinds of communications cannot be "opt out" by customers until the associated account been deleted or deactivated from the www.dailyfish.in database. These communications are sent to www.dailyfish.in account holders for promotional purposes like offers, deals and others. The www.dailyfish.in account holder can opt out these communications at any time by calling www.dailyfish.in customer care number 9020022222 or sending an SMS "STOP" to 9020022222. Upon receiving such an opt-out request, the www.dailyfish.in system requires a maximum of 7 working days to activate the opt-out. 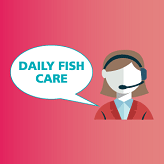 The www.dailyfish.in account holder can "opt-in" at a later time by requesting to customer care or sending an SMS "START" to 9020022222. App notification communications can be opt-out/opt-in by www.dailyfish.in customers at any point of time in the dailyfish India app itself. Web notification communications can be opt-out/opt-in by www.dailyfish.in customers at any point of time in their web browser itself. You agree and undertake that you are accessing the services available on this website and transacting at your sole risk and are using your best and prudent judgment before entering into any transaction through this Site. Dailyfish accepts no liability for any errors or omissions, whether on behalf of itself or third parties. The address at which delivery of the product ordered by you are to be made should be correct and proper in all respects. After the receipt of payment the Buyer, Dailyfish shall arrange for the delivery of the product to the recipient at the shipping address provided by the Buyer. 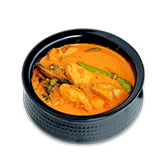 A delivery charge of Rs.30 is applicable for all orders irrespective of order value. The delivery charge is inclusive of all taxes. Dailyfish shall dispatch the order in 1 working days from the date of confirmation of order placed by the customer. Any and all orders placed by you on this Site are a firm commitment to purchase and you are obligated to complete the transaction and not contest it in any way. Before placing an order you are advised to check the product description carefully. By placing an order for a product you agree to be bound by the conditions of sale included in the item's description. 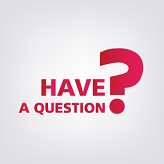 You agree, understand and confirm that the credit card details provided by you for availing of services on the Site will be correct and accurate and you shall not use the credit card which is not lawfully owned by you. You further agree and undertake to provide the correct and valid credit card details to Dailyfish. Dailyfish enables you to post your reviews, statements and comments on various products and Services featured on the Website, and in respect of such a comment/article/blog, You grant Dailyfish and/or its affiliates the right and authority to use, reproduce, modify, adapt, publish, translate, create derivative works from, distribute, and display such reviews and comments throughout the world in any media and to use the name, if any, that you submit in connection with such review or comment. By submitting ideas, comments, suggestions, documents, and/or proposals ("User Feedback") to Dailyfish.in through the website, on Dailyfish Facebook Page & on any other Social Media Platform, you agree to grant Dailyfish permission to use or disclose (or choose not to use or disclose) without any restriction or limitation, any such User Feedback for any purpose, in any way, in any media worldwide. In order to allow Dailyfish to use your User Feedback, you acknowledge and agree that: (a) Dailyfish is not under any obligation of confidentiality, express or implied, with respect to such User Feedback; (b) Dailyfish may have under consideration or in development something similar to such User Feedback already; and (c) you are not entitled to any compensation or reimbursement of any kind from Dailyfish under any circumstances for such User Feedback. Dailyfish in its sole discretion at any time and with or without notice may offer/reduce or cancel incentives or promotions, shorten or extend/cut short the duration of any incentive or promotional program and/or terminate or modify any incentive or promotional program. All discounts being offered are the sole discretion of the Dailyfish and any queries regarding the same are to be directed to Dailyfish. You authorize Dailyfish to verify this information, and Dailyfish at its sole discretion may prosecute users for any incorrect information or any misrepresentation. Dailyfish is committed to safeguarding your privacy and upholding the highest levels of information security. To that end, we adhere to the strictest consumer privacy guidelines and protect any information you provide to and through our website, Any information provided to Dailyfish (in course of the user of services) is not shared any other third party except in cases wherein such information sharing becomes necessary to provide a particular service. For example, customer details are needed to be shared with the service provider to or process an order. We do not collect personal information from you when you visit our site unless you intend to advertise or use our services or want to know more about them. We may, however, track the non-personal information about your visit which may include your domain name, webpage or complete URL from which you entered our site, your IP address & how much time you spend on our pages etc. 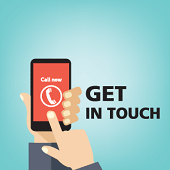 In order to operate the Site and provide you with information on products and services that may be of interest to you, we may collect information that could be used to contact you such as full name, postal address, phone number and email address, financial information (e.g. Passwords and credit card numbers), demographic information (e.g. Zip code, hometown, gender, purchase history information and age), public information such as user ratings and reviews and a username from you. You consent and give your no-objection to Dailyfish to record, retain and use all information, data and electronic communication that you input or otherwise communicate during your access to and/or use of the Website or any e-mail to or from us and any other means and the transmittal of the same to our affiliates, subsidiaries, branches and third parties for order and other processing, database maintenance, record keeping or any other use in accordance with customary practices, policies and procedures applicable, and our privacy policies. Dailyfish is wholly committed to protecting the privacy of the young. Our site is not designed to attract children under the age of 18 and Dailyfish does not knowingly collect personal information from children on our websites. It is possible that by fraud or deception we may receive information given to us or pertain to children under 18. If we are notified of this, as soon as we verify the information, we will immediately delete the information from our servers. 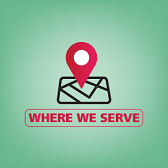 When you order from us, we will share your address and other necessary information (required to deliver the food to your home) with the service provider. You agree to share such information with them. 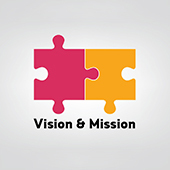 We may use aggregated information like how visitors use our Website and share such information with third parties in order to improve our Website and to help us attract advertisers and listings. For example, we may share how many individuals visited our Website and, on average how much time they spent on our site. Such use and sharing of aggregated information will not reveal any of your personal information to third parties. For this purpose, we may also provide these third parties service provider's anonymous information about your site navigation. The Site has security measures in place to protect against the loss, misuse and alteration of the information under our control. Your information may be transferred to and maintained on computer networks which may be located outside of the state, province, country or other governmental jurisdiction in which you reside, and the countries in which these computer networks are located may not have privacy laws as protective as the laws in your country. www.Dailyfish.in is dedicated to maintaining the privacy of the users/account holders with respect to all the necessary information given at the time of registration and thereafter. However, you will provide the same at your own risk and the website or its owners will not be in any way held responsible for any misuse or duplication of data provided therein for any reason by any third party. By providing the information as prescribed in the registration form and thereafter, you also consent to the tabulation, storage and use of the above data by the website for sending offers, information and deals etc. in the future via emails, SMS, telephonically and posts and sharing of the information to other sister concerns of Dailyfish.in for their benefit. In no event shall Dailyfish have any liability to you or others for damages, losses and causes of action (whether in contract, tort (including, but not limited to, negligence), or otherwise) for accessing this Website. You declare and confirm that you are accessing www.Dailyfish.in voluntarily and entirely at your own risk and consequences incidental or consequential to such use. You acknowledge and agree that Dailyfish neither endorses the content of advertisements or third parties' web content, nor shall it be responsible or liable for the accuracy of material contained therein, or any infringement of third party intellectual property rights arising therefrom, or any fraud or other crime committed thereby. Neither Dailyfish nor any of its officers or employees shall be liable or responsible for any direct, indirect, incidental, special or consequential damages arising out of or relating to these Terms and conditions of use, resulting from the use or the inability to use the Website services or resulting from any services provided by Dailyfish or any messages received or transactions entered into through the Service or resulting from unauthorized access to or alteration of user's transmissions or data. 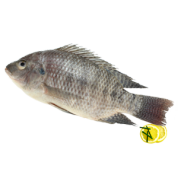 In no event or circumstances shall Dailyfish be held liable or responsible for any delay, failure, default or disruption of the contents or services delivered through the Website to you. Dailyfish or its officers or employees shall not in any manner be responsible for any force majeure event, the act of God or any circumstances beyond its control. As set out hereinafter which hinder your free and full access to the Website and or its services. Neither Dailyfish nor shall its employees be held liable or responsible for any information displayed on it or for updating any such information. Dailyfish is not liable and responsible for any claims, actions, proceedings, obligations, penalties, losses, liabilities, disputes, damages, costs, charges and expenses of any nature whatsoever arriving out of and as a result of reviews posted on the website www.Dailyfish.in regarding establishments as the website only provides a platform for users to express their opinions and these under no circumstance are views of Dailyfish, its affiliates, officers, employees, agents, partners and licensors. Any false, incorrect or misleading information provided by you to Dailyfish as to your name, e-mail address. Address, mobile number etc. Authenticity, availability, suitability, reliability, the accuracy of the information, software, Services, content, etc. The competent Courts at Ernakulam, India shall have the sole and exclusive Jurisdiction to try and entertain all the disputes arising between the parties hereunder. Any or all differences, disputes, non-compliance or non-payment arising out of these presents or interpretation thereof shall be first resolved amicably by the parties, within a period of 30 days from the date of receipt of notice by either Party from the other Party of any such dispute or difference. The arbitral tribunal shall constitute of the sole arbitrator appointed by Dailyfish. The Arbitration proceedings shall be commenced and prosecuted in accordance with the provisions of the Arbitration and Conciliation Act,1996 (Arbitration Act) and the rules made thereunder, as may be amended from time to time or its re-enactment in force. The Arbitral Tribunal shall be appointed in the manner provided in the Arbitration Act. The place of arbitration and the seat of arbitral proceedings shall be at Kochi, India. Any arbitral proceedings pursuant to any reference made under this Agreement shall be conducted in the English language. The decision of the arbitral tribunal and an award given by the arbitral tribunal shall be final and binding upon the Parties. 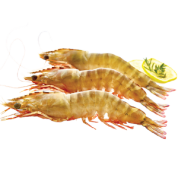 This Website & the brand Daily Fish is owned by Baby Marine Seafood Retail Pvt Limited. Dailyfish will not be liable for any damages of any kind arising from the use of this Website, or products acquired through this Website, including, but not limited to direct, indirect, incidental, punitive, and consequential damages. Pricing on this Website may be subject to change without notice. 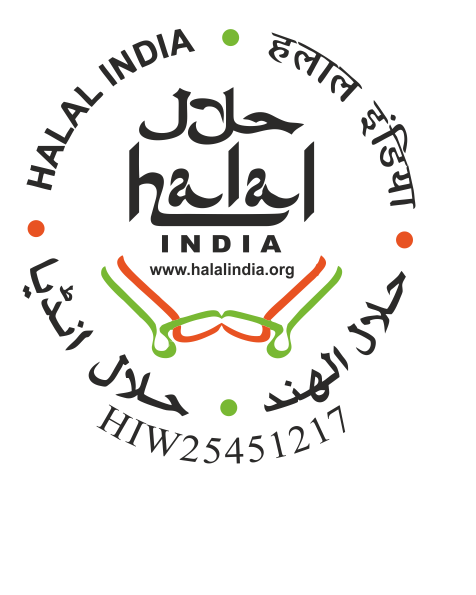 Perishable products like fish are shown on the website here are indicative. We do our best to give a better result than shown. It may be possible that actual arrangement varies due to availability and other reasons beyond our control. However, we always ensure full or higher value to our customers. Delivery schedule varies 0-1 days post confirmation of the order, depending on the destination city or town. For the products, which require special procuring, delivery time may vary. Products sold by Dailyfish on the website are strictly meant to be consumed in moderation, and Dailyfish will not be held responsible by any means for any mental or physical damage or loss of life or failure of any or all organ/s in the body due to over-consumption of the products. 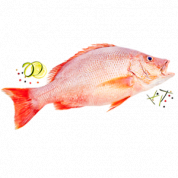 Daily Fish products are good to consume within 12 months from the date of packaging. Date of packaging is available on our product packet. Fish by nature is a perishable item and owing to this characteristic we request you to check the expiry date before consumption. In case if an expired product is consumed, Dailyfish will not be held liable for any damage or loss caused to the mental and physical health of the individual/s owing to such negligence. You agree and confirm to abide by the terms and conditions of use of this Website and you shall affix your digital signature as acceptance of the terms and conditions of use by affirmatively "clicking" on boxes containing the words "I Accept," "I Agree" or other similar phrases (collectively, "Acceptance Terms"). If you "click" on the Acceptance Terms, your "click" will be deemed a legally binding electronic signature at the time of registration and subsequently at the time of any transaction. These terms and conditions of use represent the complete and exclusive agreement and understanding between you and Dailyfish regarding your rights to access the Website and to use the Content and supersedes all agreements, writings, understandings which you may have with, and all representations (whether written or oral), regarding such subject matter. Dailyfish’ s failure to insist at any time upon strict compliance with any term of these Terms and conditions of use, or any delay or failure on our part to exercise any power or right given to us in these Terms and conditions of use, or a continued course of such conduct on our part shall at no time operate as a waiver of such power or right, nor will any single or partial exercise preclude any other future exercise. The terms and conditions of Use will be binding upon you and your successors-in-title and assigns. The terms "including" and "includes" as used in these terms and conditions of use are intended to identify some, but not all, examples relevant to the subject matter and, therefore, should be read as "including, but not limited to" or "includes, but not limited to." Dailyfish may assign or delegate its rights, duties or obligations under these Terms and conditions of use without your prior consent. However, you shall not assign or transfer your membership or user id to a third party without the prior written consent of Dailyfish. These Terms and conditions of use are in addition to, and do not nullify, any other agreement between you and Dailyfish governing the conduct of your relationship with us or any other applicable terms and conditions found on the Website. Force Majeure - Neither Dailyfish nor any of our affiliates are liable for losses caused directly or indirectly by any of our non-performance as a result of events beyond our control including natural disasters, acts of God, war, terrorism, actions or decrees of governmental bodies, exchange or market rulings, failure of communication lines or utility systems, equipment and systems failures, unauthorized access, and theft (each, a "Force Majeure Event"). All of our obligations with respect to the affected elements under these Terms and conditions of use will be suspended for the duration of such Force Majeure Event.